Today’s The New York Times bore out some sad news, at least to me. 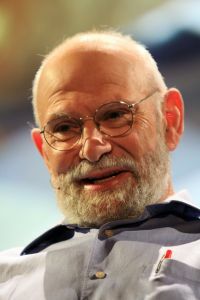 Oliver Sacks, the neurologist and author of Awakenings and The Man Who Mistook His Wife for a Hat, announced he has terminal liver cancer (Sacks, 2015). In his announcement, he followed the lead of his favorite philosopher, David Hume, in the examination of his life. Even in the experience of his impending death, he confronts his reality with a sort of detachment Buddha would envy. He has lived, enjoyed his time on earth, and is grateful for the experience. What a wonderful teacher! As a second year grad student, The Man Who Mistook His Wife for a Hat was required reading. It was hopeful and insightful. I have also seen the movie based on his book, Awakenings. It seems almost apropos that Sacks should depart this earth soon after the man who portrayed him on the big screen, Robin Williams. However, the two men had very different ways of viewing their terminal condition. I understand the elements involved in Robin Williams’ death; there were mitigating circumstances and deep depression involved. But I cannot help but wonder if the two polar opposites have a lesson in them. This struck me hard. Yesterday, I learned a friend’s husband chose to take his own life, at a time when my friend needed him the most. Perhaps he did not believe he could help her well enough. Perhaps he had grown depressed. These are the questions that remain unanswered for now. He chose his attitude as well, with horrible results. The impact it has had on his wife and children are undeniable. They are devastated. Why does this polarity in life exist, even to the point of death? Why do some people feel the only solution is to end their life, and how can we help change that attitude? In this era of assisted suicide, we encounter this issue and will encounter it more. The lines are being blurred, as we speak. Nurses who encourage others to end their lives get minimal jail sentences, suicide bombers are encouraged by their leaders to kill others as an act of loyalty and vengeance, and a Fortune 500 executive kills a pregnant woman and her fiancé when he attempts to end his own life (and fails.) Yet, we also live in a time when assisted suicide is given more validity, even declaring it a human right. People receive mixed messages about the value of life. Society is failing to address the real existential crisis occurring before its very eyes on a daily basis. Perhaps this is the very thing that makes Sacks’ poignant op-ed piece even more important: He sets a valuable example to others by declaring every moment in life a priceless commodity to be shrewdly utilized. Rather than choosing to lament his potential suffering or premature end, Sacks opts to consider the time he has left and use it efficiently for the greatest good. In doing so, he adds a perspective of preciousness to all of life. The anxieties that plagued his daily existence before he knew he had cancer became less important in a single instant and greater importance is now placed on his friends, relationships, and experiences. He says he plans to pack richness into every waking moment and he is not wasting any time in starting. The article was one such effort. Rather than considering what we do not have or cannot do, he suggests we should focus on what we do have, and what we can do. This was also the gist of Frankl’s advice to his concentration camp friend who was considering suicide (Frankl, 2006). What does life still expect from me? Even with all the challenges that face me at this point in my life, what does life still expect from me and how can I best deliver that to Life? The Didache, the earliest documented manual for living a Christian life which was dated circa 140 C.E., opens with the sentence, “There are two ways, one of life and one of death: And great is the difference between the two ways” (Didache—Teaching of the Twelve Apostles, A.D. 140/1970). Even without being a follower of Christ or the Apostles, humanistic clinicians can appreciate this statement. We always have a choice. What needs to be defined is the contrasts of those two options. We can choose to embrace life, or embrace death, but there is a dramatic difference between the two selections. The consequence of the choice has an impact on those around us. Even if we face debilitating illness, there may be someone we love that would rather have every minute with us, than to have that minute without us. Would it not be better to pass a word of wisdom, an example of humility, or a moment of appreciation to others than to deny them of the gift each of us offers this world? As Sacks astutely observes, there has never been and there will never be anyone like us…ever. Considering this, do we not owe it to Life to struggle through each moment, for the sake of those who will come after us? Don’t we have a responsibility to give Life all that we can, at every moment and every way we can? If we encourage others to view life and the responsibility to life, as Frankl did, perhaps the attitude to life can change. Perhaps it can aid others in their choice of the way of life over the way of death. Perhaps then they can begin to see how precious they are to us. (140/1970). Didache—Teaching of the Twelve Apostles. In The faith of the early fathers (W. A. Jurgens, Trans., Vol. I). Collegeville, MD: The Liturgical Press. Frankl, V. E. (2006). Man’s search for meaning. New York, NY: Beacon Press.